The USB WiFi adapters are electronic devices that allow devices to connect via WIFI technology through a USB port. They consist basically of an antenna for the reception of WIFI and a USB adapter that incorporates the WIFI chip. A powerful USB WIFI adapter is necessary whenever we need to connect by WIFI at good speed. 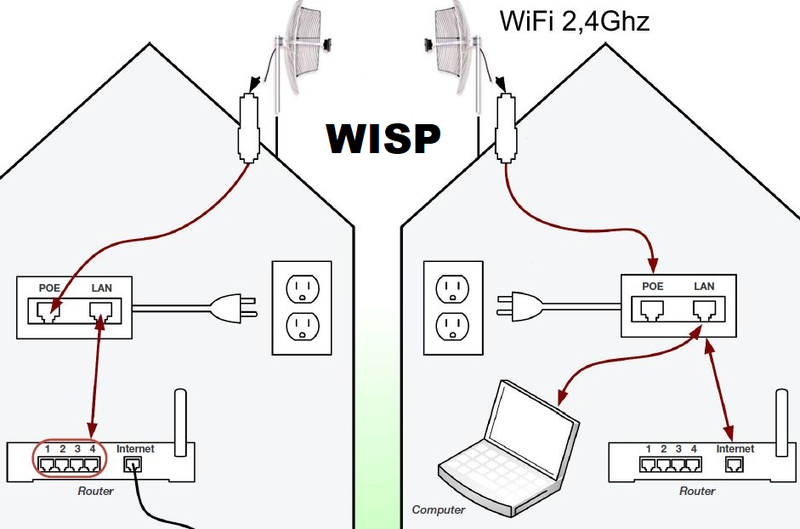 Even when we buy a new laptop, we have to realize that the WIFI antenna is internal and small and does not receive much distance, so it will be necessary, in most cases, to attach a good quality USB WIFI adapter to connect to more than 10 meters, with walls on the road, or to overcome the 150 Mbps of WIFI connection. To know more about what a WIFI adapter is and how it works, read this article. Currently there are many brands and models that give good benefits, but if we want to buy a WIFI adapter online we must go to a reference store in WIFI and above all compare the quality and price. 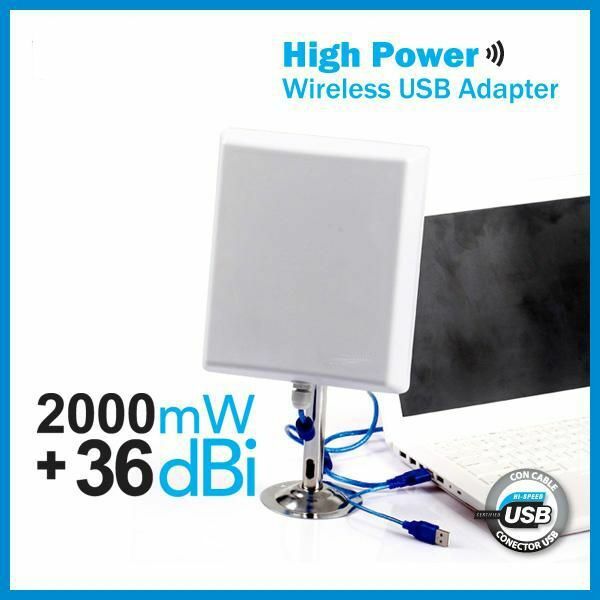 There are powerful WIFI antennas and USB WIFI adapters for all pockets and for all needs. To decide which WIFI adapter to buy you should consider that there are two types: USB WIFI adapter for outdoor and indoor. All these that we compare here will give you a speed higher than 150 Mbps, but if you want the most modern and fast WIFI adapter on the market go to the models that we specify that are Dual band WIFI AC that reach up to 1900Mbps. 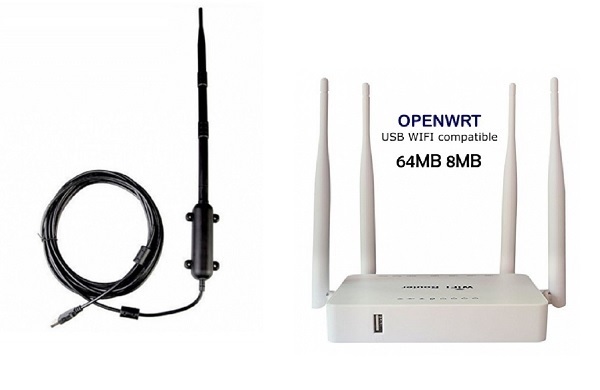 In this ranking and comparative we will show you from the cheapest with WIFI AC technology for only 12.50 EUR to the most expensive and powerful USB WIFI adapter of 2019 the Alfa AWUS1900 of 65.30 EUR, in addition to other models of WIFI technology N with exclusive features such as WIFI antennas for caravan or truck, WIFI repeater antennas with router, Chip RT3070 for audits …. Do not miss it and keep reading. We started with a WIFI USB adapter with the latest technology, double band, small, cheap and very powerful. 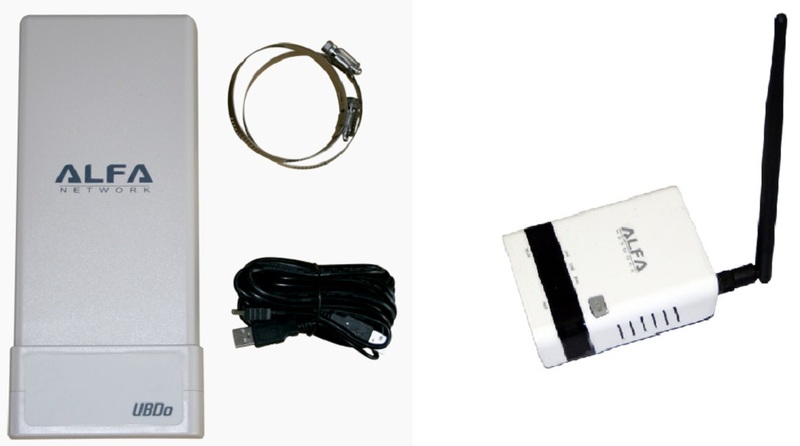 This portable model has a dual band 2dbi WiFi antenna with USB adapter. The famous Chip Raltek RTL8811AU high performance can transmit WIFI at high speed both in the band of 2.4Ghz and in the 5.8Ghz. 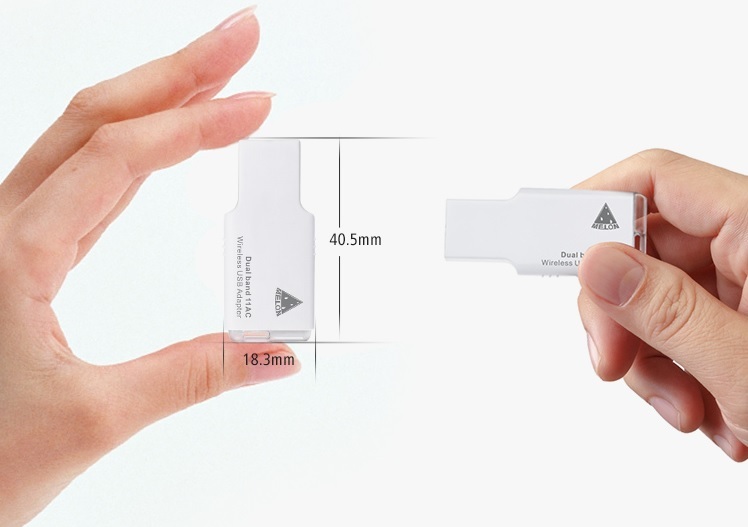 The Melon M15D is a USB WIFI Adapter of pendrive size to connect by WIFI any laptop or PC. Reduced design for easy transportation. The RTL8814AU chip of the new WIFI USB 2019 adapter from the prestigious ALFA NETWORK brand is the AWUS1900 model. With this USB 3.0 WIFI receiver with very high performance, enjoy the dual band 11AC with MIMO 4T4R technology. 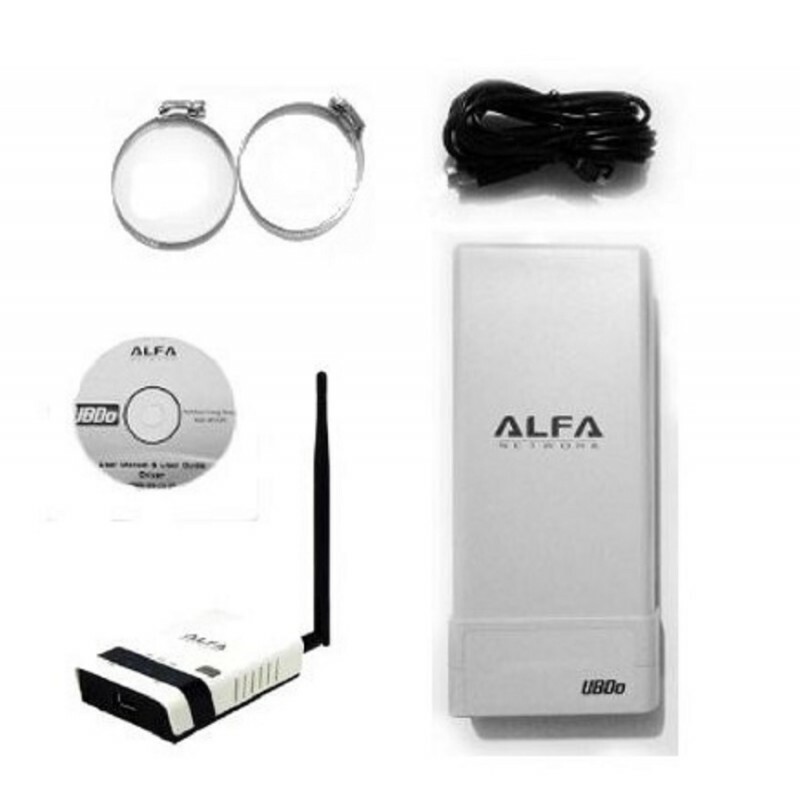 The Alfa Network AWUS1900 dual band model is a new WIFI receiver with 4 antennas. quad-type 802.11ac Wi-Fi USB antenna with router connection speeds of up to 1900 Mbps (1300 Mbps for 5 Ghz + 600 Mbps for 2.4 Gz). It is compatible with Microsoft Windows 7, 8 / 8.1 and Windows 10. Installation in Windows is very simple, it connects to the USB port of your computer with an included USB 3.0 cable and instantly increases the Wi-Fi performance of your computer very significantly. Its four-transmit / four-receive dual-band antenna technology (4T4R) allows the use of 2.4 and 5 Ghz radio bands on 802.11ac routers for a combined maximum connection speed of 1900 mbps. -802.11ac up to 1300Mbps and 802.11gn up to 600mbps. The maximum reception speed will only be possible with AC1900 routers or higher, such as the AC2600R. 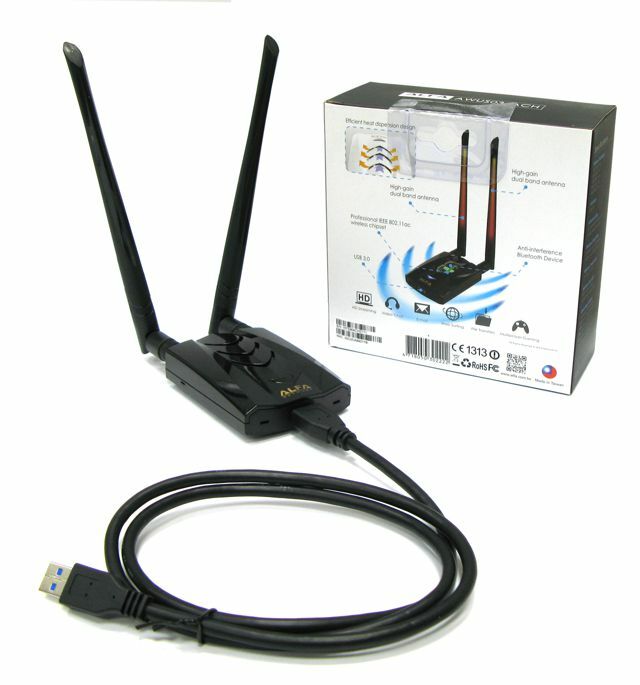 This WiFi adapter supports the new dual WIFI band simultaneously, which means that you can use both WiFi N at 300 Mbps sin the frequency of 2.4GHz, ideal for normal navigation and also WiFi AC 1600 in the band of 5GHz for functions more specialized like streaming video, online games that need low latency, or professional use. If you want to use the new WIFI services on RENFE high-speed AVE trains that allow Wi-Fi on board while traveling at 300 km / h for all types of customers. With one of these portable USB WIFI antennas you can enjoy Basic and Premium services. The AWUS036NH is the IEEE 802.11 wireless USB adapter that allows users to connect to all wireless networks at 150 Mbps in the 2.4 GHz band. This AWUS036nh evolved from the famous AWUS036h incorporates the N technology of the RT3070 chip and is a model well known for years by all WIFI users, especially for being of the Alfa Network Taiwan brand and for having incorporated the famous Mediatek RT3070 chip. This fabulous RT3070 chip allows you to configure AWUS036NH with ad-hoc mode to connect to other 2.4GHz wireless computers, or with Infrastructure mode to connect to an AP or wireless router to access the Internet. The new model Powerful USB WIFI Adapter Alfa Network AWUS036NH is a WIFI antenna for long-range Long-Rang 802.11n / b / g. AWUS036NH includes a utility Alfa WIFI scanner very useful to scan and orient the antennas in the direction of the available networks and save preferred networks with which users usually connect. Security encryption can also be configured by this utility. Alpha AWUS036NH is an 802.11n wireless USB adapter with a maximum output power of 2000mW. This is a single-band 802.11n adapter (2.4 GHz). The AWUS036NH connects to any computer that has a USB port and one of the compatible operating systems listed below. It allows you to obtain a greater range than your current wireless card. 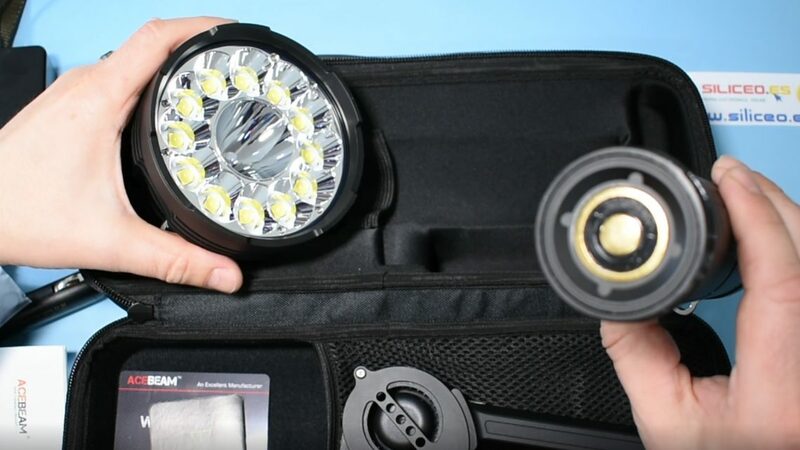 It is perfect for laptops or desktop PCs. 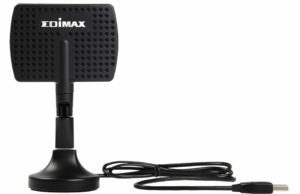 It has an external RP-SMA connector that is essential for boaters who need a high power USB Wi-Fi receiver to connect to a high gain outdoor antenna they already own or plan to buy. The range you get with any adapter will vary greatly depending on the power and quality of the wireless access point used, as well as the obstacles and interference in the area. Keep in mind that interference can often be invisible. The Alfa items of the AWUS036 series are the most powerful and wide-ranging autonomous wireless adapters on the market. 2.4 GHz frequency band, MIMO (multiple input multiple output). This Ubdo adapter is presented to you in a new version Pack with built-in R36 router. The WIFI adapter for outdoor can be used as the other adapters to receive WIFI via USB, but also in the case that we get to connect for free to a remote WIFi network with the USB Ubdo we can add the R36 router inside the house and create a new own WIFI network to navigate with several devices. 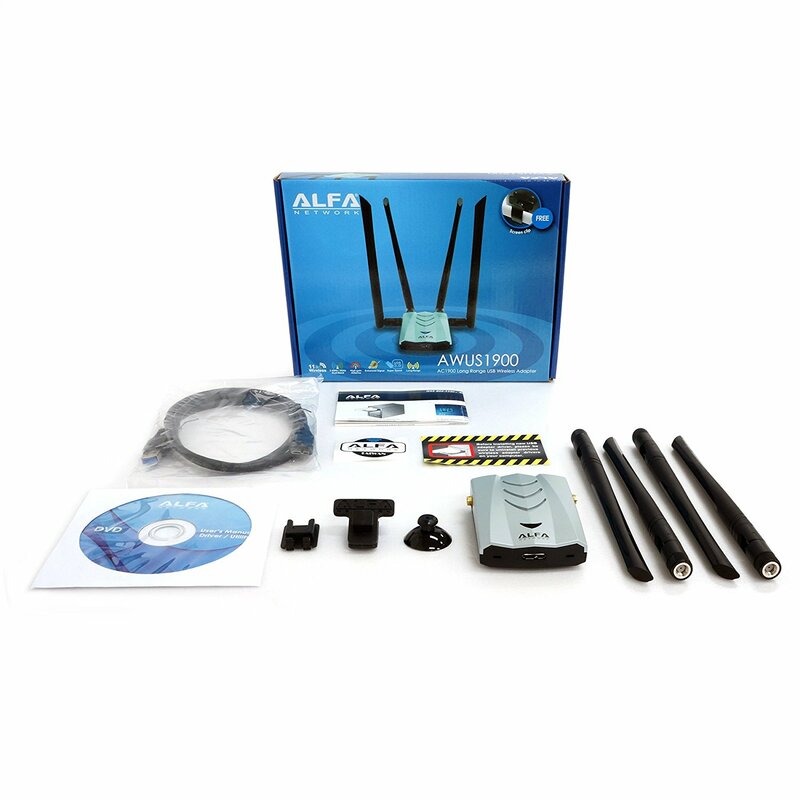 The pack consists of two compatible WIFI Alfa Network products. The first is a powerful UBDO WIFI antenna with 8 meters of USB cable and the second is a special Alfa R36 router that works as a WIFI repeater. The antenna is intended to take long distance internet (up to 1km) and then transmit the signal via USB cable to the router that carries a special USB port compatible with the WIFI antennas of the Alfa Network brand. 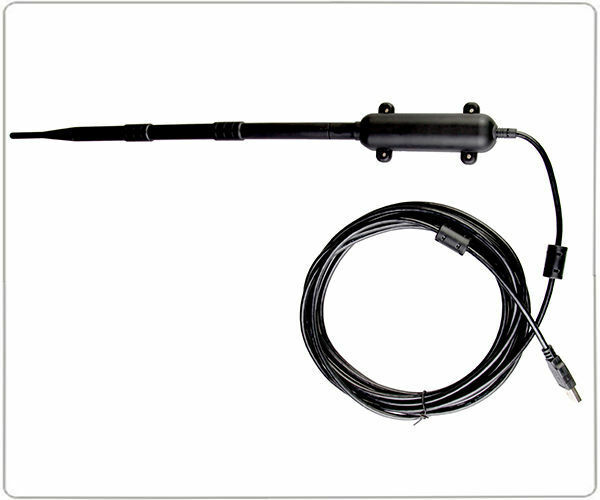 The UBDO outdoor directional antenna carries 8 meters of USB cable and works with the RT3070 chip. This antenna is a long-range wifi network adapter that offers excellent signal reception, with an integrated 12 dBi directional panel antenna, long-range WIFI panel. UBDO NT8 version with 8 meters of active USB cable. 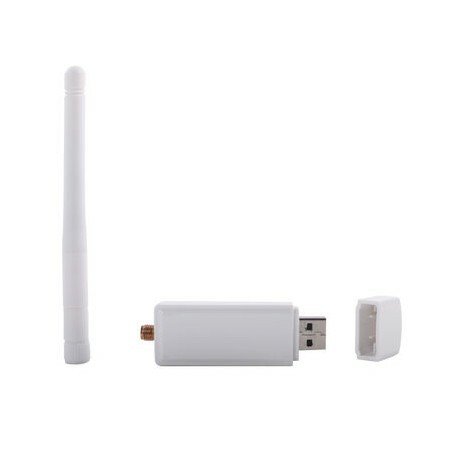 WIFI USB adapter with outdoor resistant antenna, ideal for Wi-Fi client. The new UBDo-NT8 from Alfa Networks is an excellent choice. It has a 150 Mbps 802.11n wireless receiver integrated in an outdoor weather resistant housing. It contains two mounting rings of the mast-or ring and 8 meters of USB cable with a Y double-ended special USB connection that enters your computer (features both a power / data connector and a secondary power only connector so that you can use 2 USB ports on your computer to provide maximum power to the device without the need for an external power supply for it). The WIDEMAC WM-N8000 model is specifically designed to install WIFI on trucks, boats, caravans and motorhomes. The WIFI waterproof antenna with USB cable can be installed on any support or wall to the outside to get free WIFI from open networks or public long distance. 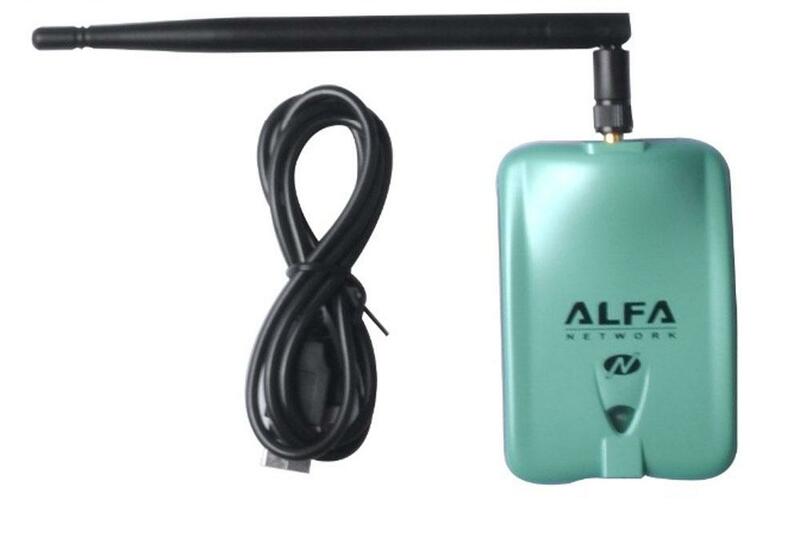 Thanks to the WIFI USB 13dbi outdoor waterproof antenna to be placed on the outside of buildings to take free open networks or connect long distance. Being Omnidirectional even if you change your location will always detect all nearby available networks. Compatible with WIFI audit Beini, Wifislax etc. Antenna completely impermeable to water. For outdoor use with wall anchors. You can work with any computer that has an available USB port and Windows XP, Vista, WINDOWS 7/8 / 8.1 / windows 10 / mac os. it is also compatible with linux, and plug and play, is one of the few wi-fi devices that can be put in monitor mode. You can even use it on a mac (mac application requires os 10. 3.10. 4, or 10.5). Special USB WIFI adapter for caravan and motorhome. To share your WiFi connection you need this compatible wireless card. 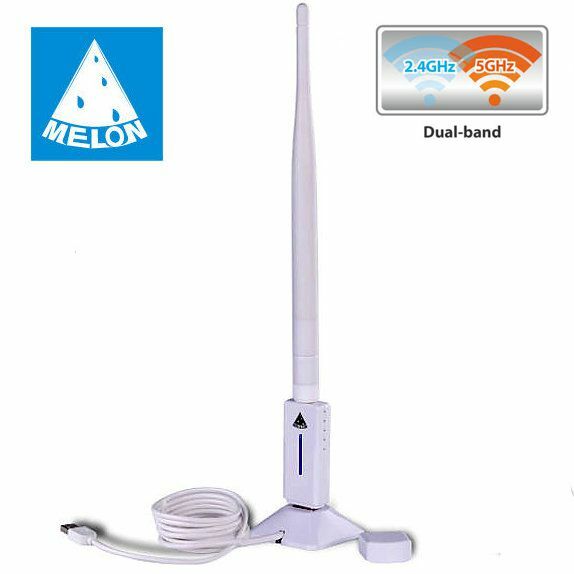 Powerful wifi antenna with chip RT5572 MELON TS-N80 dualband Wi-Fi 802.11n. The MediaTek RT5572 is a powerful Wi-Fi chip that supports speeds of 300 Mbps PHY. RT5572 works with IEEE 802.11n b / g standard, offering reliable and cost-effective wireless connectivity for long distances. Its optimized RF architecture and baseband algorithms provide excellent and reliable performance with low power consumption. Have you ever thought about installing a directional antenna in the house that reaches networks that are located beyond the walls of your flat, … Yes, you can thanks to a USB WIFI adapter that incorporates a long-range directional antenna. 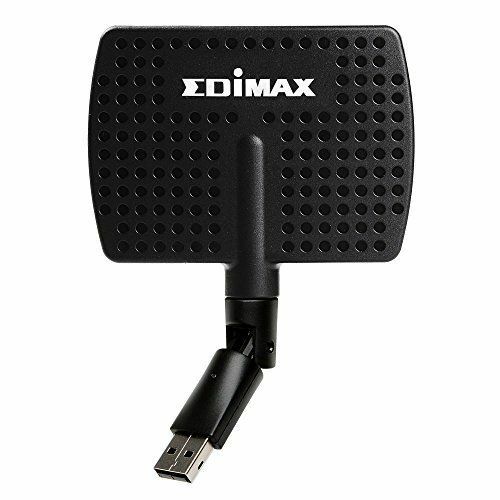 The best 5GHz AC WIFI adapter of the Edimax brand. With AC600 technology it surpasses its competitors by incorporating the 7dbi Directional Panel antenna as standard, achieving long-range connections, more distance and crossing walls and walls with WIFI. Windows 8 / 8.1 and Windows 10 compatible. This USB adapter with wifi antenna complies with the high performance 802.11ac wireless standard, and the dual band 7dbi panel antenna. This antenna can greatly increase the effective wireless operating range of 802.11 ac with respect to wireless g / n devices. The Edimax EW-7811DAC is the next generation of Wi-Fi adapter, compatible with the 802.11ac standard with delivery speeds of up to 433Mbps at 5GHz – almost three times faster than 802.11n. Upgrade PCs and laptops to 802.11ac high-speed Wi-Fi to enjoy streaming video and data. The EW-7811DAC comes with a free USB base that features a 180-degree adjustable antenna for an enhanced wireless signal, and a 1.2-meter USB cable for flexible placement. You can adjust the position of the antenna for maximum performance. If you have ever asked: what is the USB WIFI adapter that can reach further and connect to incredible distances of 5km and up to 10km? Well the answer is this: Alpha AWUS036NEH with 24dbi satellite dish. 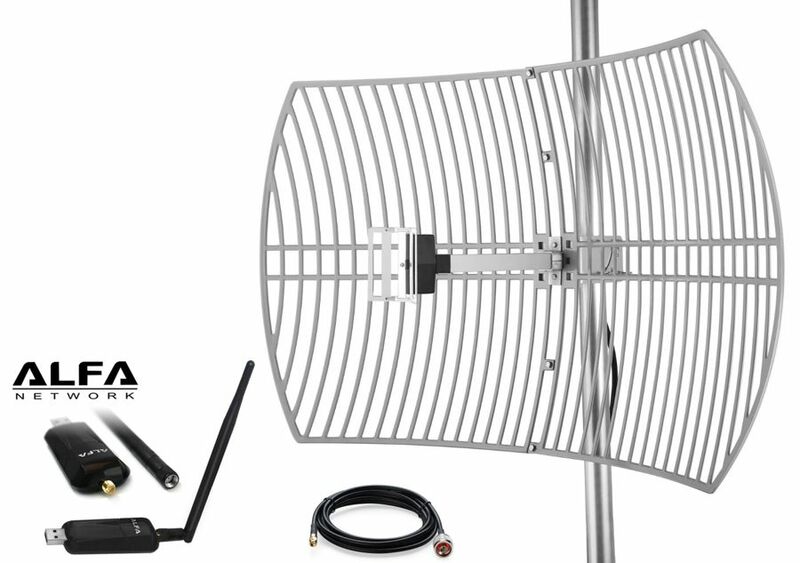 This Alfa Network Alpha 24dBi antenna kit consists of a professional satellite dish + the high power USB adapter + the 3m coaxial cable. 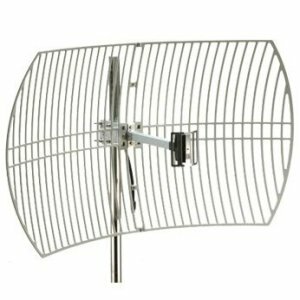 This grid GRID antenna is designed for the 2.4GHz frequency giving an excellent performance and includes the mounting bracket to adjust it to a mast. It comes with USB connector for PC or laptop, also increases its transmission / reception speed with this high performance antenna in a 5.8ghz band that is more free at this time. You only need a PC or notebook with a USB port. With the antenna ANTENNA WIFI DIRECTIONAL GRILL TYPE ALFA AGA-2424T 24dBI 2.4GHz, It can receive multiple signals that are at a distance of more than 10km. Maximum reach assured with two Alfa AGA-24dbi satellite dishwidth antennas, facing point to point more than 20 km without problems. High power and high reception sensitivity to offer a longer transmission distance. Broadcast speeds of 150Mbps for broadband WIFI to download faster. Download faster. The 1.5 meter USB extension cable allows convenient use anywhere, table, laptop, travel etc. 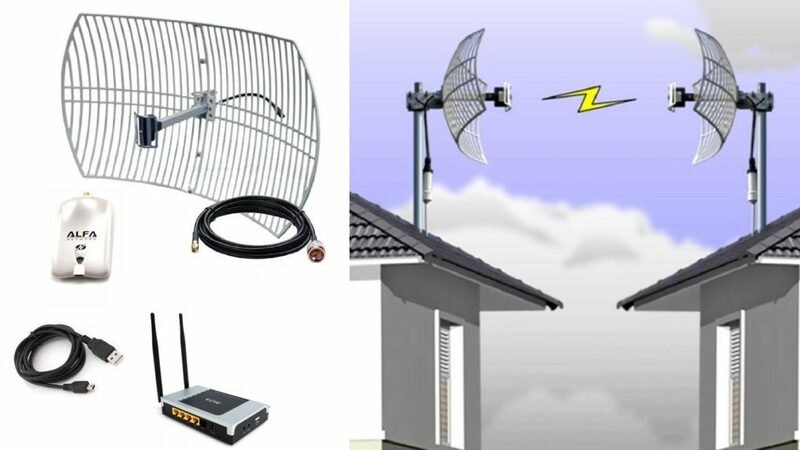 The installation of WIFI parabolic equipment that can reach up to 5 km with a single antenna or 20 km with two antennas facing each other is very simple. 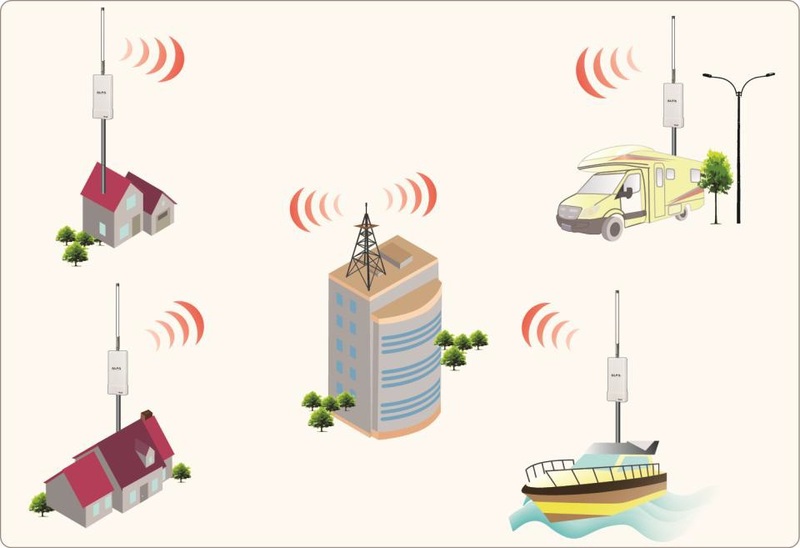 To get a long distance WIFI connection via USB port, simply install the antenna on the outside of the building and direct it to the point where we want to take the signal or signals that interest us. Then we must connect the antenna to the Alfa USB adapter AWUS036NEH using the 3M coaxial cable with N connectors of the antenna and SMA for the WIFI adapter. If you want to extend this distance of 3 meters you can connect an active 10-meter USB extension cable designed for USB WIFI adapters. Why buy powerful USB WIFI antennas in 2019? For each place and need there is an appropriate WIFI antenna. 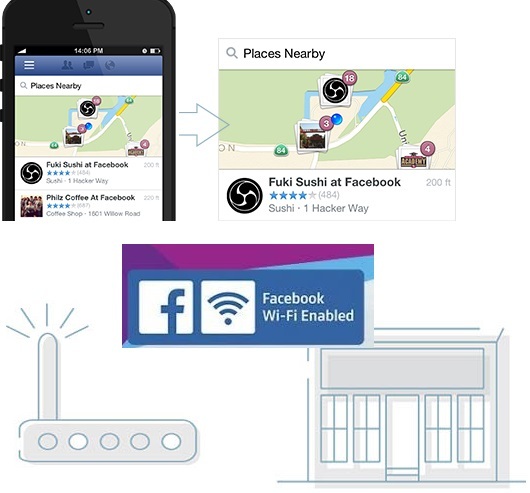 For this reason before choosing, make an outline or even a drawing with the basic information of the place where you want to install your WIFI equipment. Height in meters above the ground to which the installation will be made.